You may have noticed that I have been blog MIA! I’m usually good at posting 3-4 times a week and now haven’t put something out in over a week. But it’s for good reason. 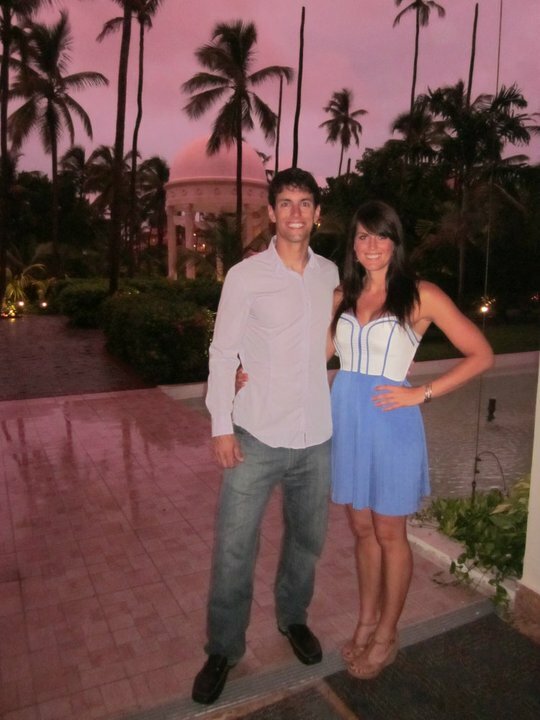 Last week Mike and I flew to the Dominican Republic and stayed five nights in an all-inclusive resort in order to celebrate our good friends’ wedding. After my trip to Vegas in mid-July for a bachelorette party, I wrote a blog about how to not blow your diet while on vacation. Well, although I did follow a bit of my own advice, I failed big time in the drink and food department. All inclusive resorts where a new round of friends arrive each night are NOT conducive to moderation. I’m not going to beat myself up about it – I enjoyed every moment of indulgence! However, with a half marathon coming up on August 21 and an Olympic distance triathlon scheduled for September 11, I knew that although I wasn’t going to hold back on dessert or drinks this week, I could at least maintain my fitness level with some good workouts. As for P90X, luckily this week was our scheduled recovery week. Although we didn’t get any Core Synergistics or Yoga in, we “recovered” by taking it easier and not lifting heavy weights. We didn’t leave for our trip until Sunday evening, so we were able to get some solid workouts in the weekend before we left (one of the tips in my vacation survival blog). We started Saturday morning with a 12 mile run, followed by a 18 mile bike ride on Sunday and then a Dailey Method class Sunday at noon. 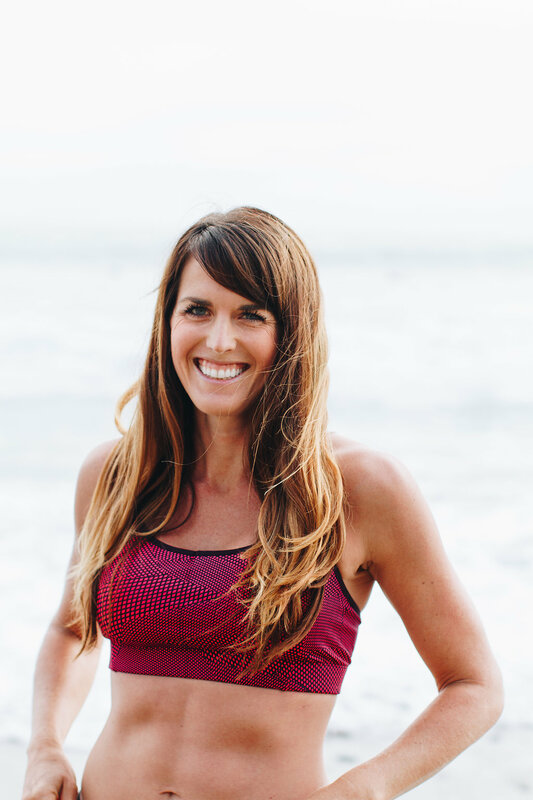 If you don’t know what the Dailey Method is, check out my good friend Allison’s recent blog post about this fabulous workout here. After we rested up the first day of our arrival in the Dominican, we checked out the classes offered at the gym. Our all-inclusive resort included not only a gym with cardio equipment and a weight room, it included five workout classes per day – 2 spin classes, yoga, pilates and an aerobics class. After figuring out that the spin class was offered at 8 a.m and 5 p.m., we decided to check out the class on Tuesday at 5 p.m.
I’ve never done a spin class in a foreign country, so I knew this would be interesting. Our instructor was a muscular Dominican man dressed in pants and a long sleeve shirt. I, on the other hand, was wearing short shorts and a tank top, as the 90 degree, 90% humidity weather dictated. Although the gym was moderately air-conditioned, the group exercise room was not. Mike and I were both sweating profusely into the warm up and stretch. Our stoic instructor led us through a 40 minute sweat fest that consisted of pretty simple moves but got the job done. Although it wasn’t the most riveting spin class I’ve ever attended, the 40 minute workout left me very sweaty and tired. We repeated the class the next morning at 8 a.m. with the same instructor (this was difficult to wake up for after the fun we had the previous night). This time I did my own core workout afterward and incorporated some of P90X moves – plank, push-ups, Mason Twist, Oblique V-Ups, Crunchy Frog, etc. On Thursday it rained all day so we headed the gym once more, this time around 11 a.m. Once a treadmill freed up, I put myself through an interval workout that consisted of 1/4 mile hard/moderate intervals. The treadmill was reading kilometers so it was hard to figure everything out. I based my 1/4 mile intervals on the image of the track that lit up as you made your way around it. As for speed, I wasn’t exactly sure how to convert the numbers, but I figured out that I was averaging at 9:15 min/mile total – including fast intervals and slow. After doing this workout I have even more respect for Mike who completed his Ironman in Cozumel, where humidity and temperatures are similar to Dominican Republic (it was high 80s with 90% humidity). Not only was I super sweaty, my legs felt heavy and it was much harder. I’m glad our Ironman day temperate should be well below this. Our last workout of the weekend was yet another 8 a.m. spin class on Saturday, the morning we left the Dominican. This time we had a female instructor who spent 90% of the class off the bike. This made it difficult to understand what she was trying to get us to do since we couldn’t mimic her. However, she made it easy for us at times but coming over to our bikes and increasing or decreasing the resistance! A spin instructor in the US once told me that is a big no-no in the spin instructing world – but apparently that rule doesn’t cross over into all-inclusive resorts in the Dominican. 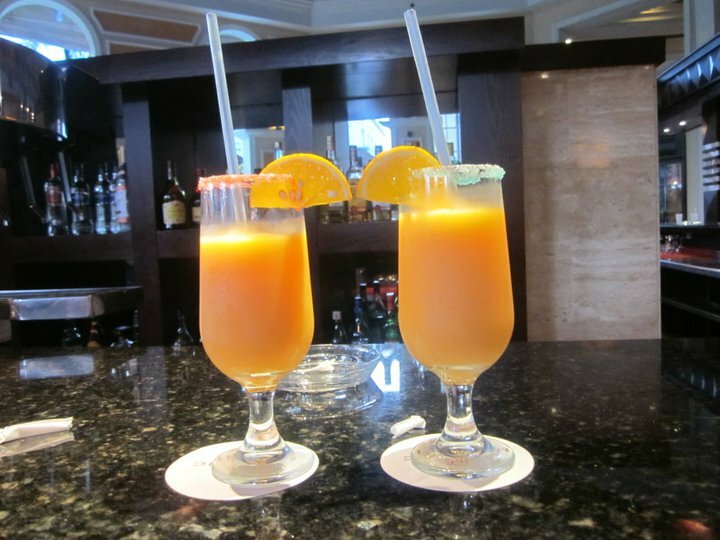 Our favorite fruity drinks - tasted like a orange creamsicle! Although these workouts definitely couldn’t come close to compensating for the calories consumed in food and drink over the weekend, i was able to maintain my fitness level while on vacation and also feel a little better about my splurges. Plus, I just love the feeling of getting in a good workout and I can’t imagine 5 days without it – vacation or not! Usually I take vacations that involve a lot of outdoor activities or at the very least, a lot of walking, so going to an all-inclusive resort and lying on the beach and drinking and eating all day is not normal for me! I’m glad that the resort had facilities available to satisfy my sweat craving. Now that we’re back, we’ve just started phase 3 of P90X. However, since we have a half marathon coming up in less than 2 weeks and an Olympic distance triathlon in september, we are focusing more on triathlon and running and less on P90X. It’s starting to look like we’re not going to be able to get in more than 3-4 P90X workouts per week, and perhaps even only 2 this week! Although I want to dedicate myself to P90X, triathlon just have to take priority at this point so that I’m not miserable on race day. At this point I still plan to take my after pictures and do the fit test, but my Round 2 results aren’t going to be 100% reflective of a typical round of P90X (not to mention I’m not following the nutrition plan this time). Have you ever worked out on vacation? How did you find it different from your normal routine? Our nex travel trip would be to florida. I waited and worked six month for flying to florida, so i hope my family really enjoy this holiday. I’d love to have the opportunity for the same travel experience like yours. When i was young i thought i would buy a house simply because i couldn´t remain on the exact same place for lengthy time.